THE GOG BLOG by RORY SPEARS, Director of Content and Creation. Follow Rory on Twitter @GogBlogGuy, Linkedin and Facebook. On the 7th tee of the Bluff Nine, on the National Course at Reynolds at Lake Oconee, Greensboro GA.
IT’S OVER, my 24 day trip to see the South, that covered nine states, has come to an end, and I’m back home. I’m really sorry (not), that I missed all the real cold weather here in town. But even though I was down South, the weather for the most part was not great. 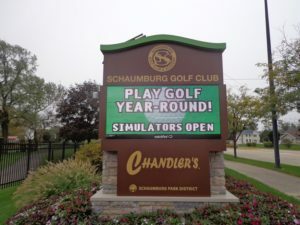 I did play 12 rounds of golf while on the move before and after the PGA Show, but only in one round did I enjoy over 70 degree weather, and that was for about nine holes, and the temperature peaked at 72. 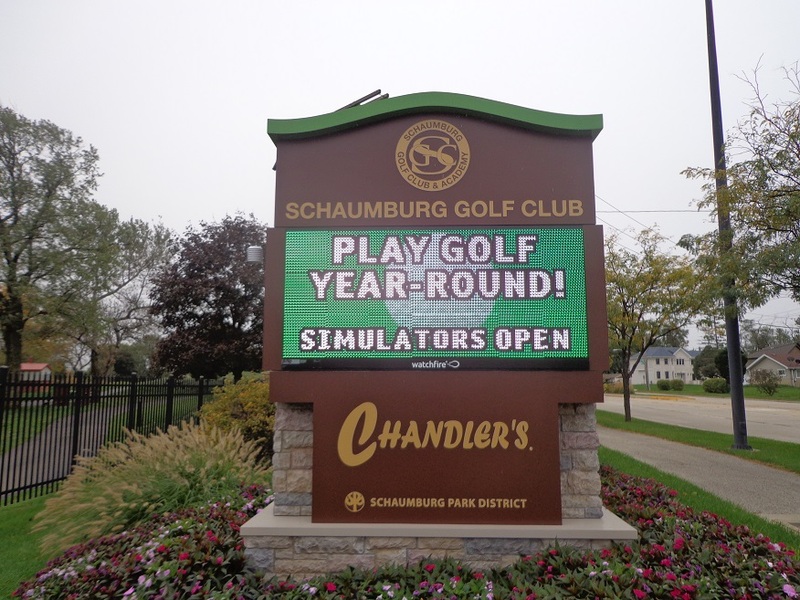 But hey, I was out playing golf, and that’s something right there. I did started the 2019 golf season at Talamore in Southern Pines, with Dormie Club later that day, yes 36 holes the first day. At Talamore the morning temperature was 35, and was 41 by the time I came in. Dormie Club was 42 on the first tee, and 43 when I came in. It then rained 3/4 of inch that night that delayed my tee time on the Arnold Palmer designed Mid-South Club, but I did head out and cart-path only it around the course when it was 44 degrees. The next morning was Mid-Pines, it was 38 when I tee’d off and 45 when I got in, that afternoon on the famed Par 3-nine hole Cradle Course at the Pinehurst Resort, it was 47. Pinehurst No.2 the next day, was 39 when we tee’d off, and around 48 when we got in. Always nice to play U.S. Open Courses in those temperatures. The following day was a look at the recently renovated by Gil Hanse, Pinehurst No.4, 42 when I tee’d off and 53 when I got in. Tobacco Road the next day, located 20 minutes from Pinehurst was 38 at 10:30 in the morning on the first tee, 55 degrees on the 18th green. The First Hole at Tobacco Road, Sanford NC. The heatwave came on Saturday the 19th, when at the Grande Dunes Golf Club in Myrtle Beach. 58 was the opening temperature, and 72 was the finishing number. Then after the PGA Show in Orlando, where the warmest day of the trip was the first day inside at the convention center. I was indoors and it hit 78 outside. 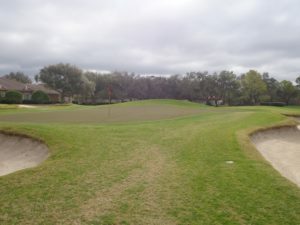 The weekend after the show in Palm Coast Florida just south of St. Augustine area, temperature’s peaked at 54 degrees for a round on the redone Ocean Course by Jack Nicklaus at Hammock Dunes. I arrived in Fort Lauderdale that night in time for a downpour, that was almost 3 inches of rain between Saturday and Sunday. Between heavy rains and overnight low’s of 42 in Port St. Lucie 100 miles north of Miami, BIG 3 partner Len Ziehm and I failed to get in a game this year. The Par 3, 5th green on the South Course at Innisbrook Golf Resort in Palm Harbor FL. I crossed the state of Florida and arrived at Innisbrook Golf Resort, home of the Valspar Championship. 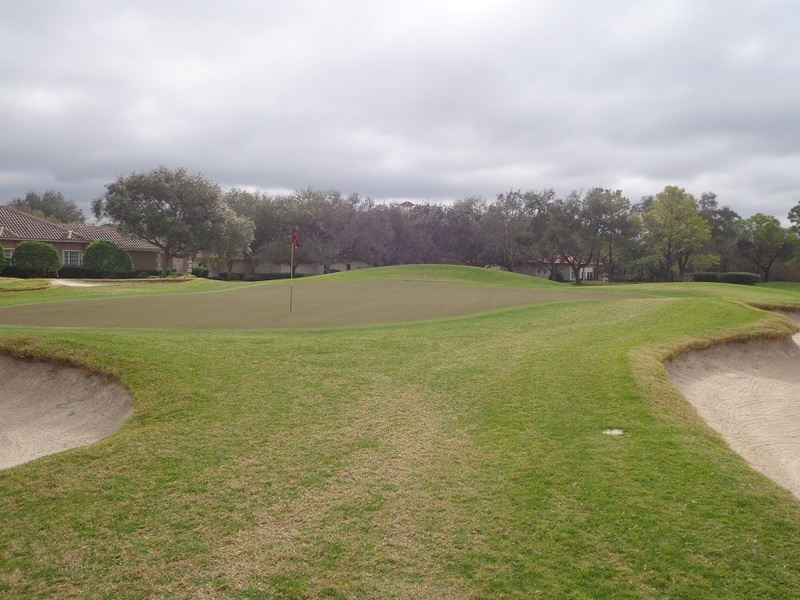 I played the recently renovated South Course, and 52 degrees was the tee time temperature when I putted out on 18. My final round of the trip was on the National Golf Course, at Reynolds at Lake Oconee. Tee times were held up 90 minutes, due to a frost delay after temperatures hit and overnight low of just 24 degrees. 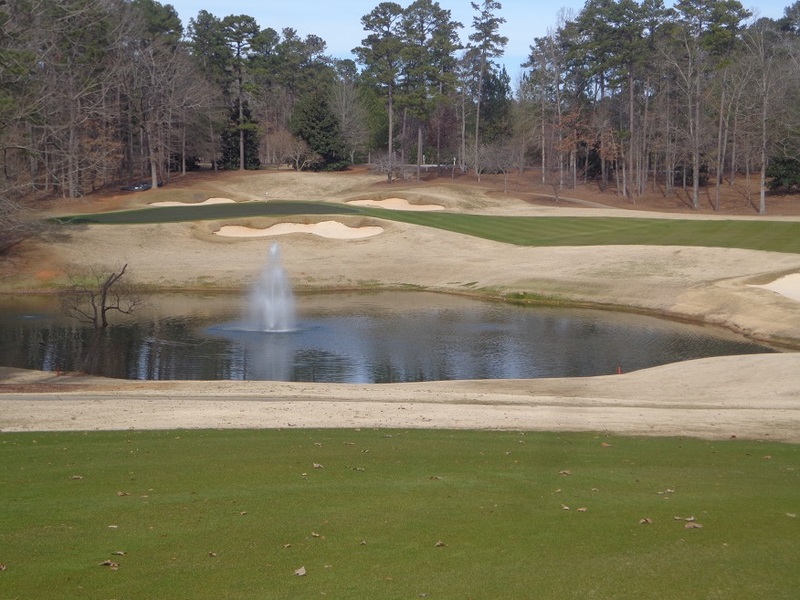 THE PAR 5, 6th hole on the Bluff nine of the National Golf Course at Reynolds at Lake Oconee. The drive home was interesting, as traffic around Atlanta, on a Friday night of Superbowl weekend was awful. My planned hotel in Kentucky that night was sold out of rooms, so by Midnight I had finally found another one. A pile up on Saturday north of Lexington Kentucky, left me parked in one spot for 43 minutes, and the heavy Kentucky fog, returned through most of Indiana on the drive back into Chicago. I document all this for anyone who wants to know how the trip went, and thinks it was all fun and playing golf. It wasn’t. But there were highlights, and plenty of them. I actually started the trip with one night at the French Lick Resort, where I took a few bucks from the casino. 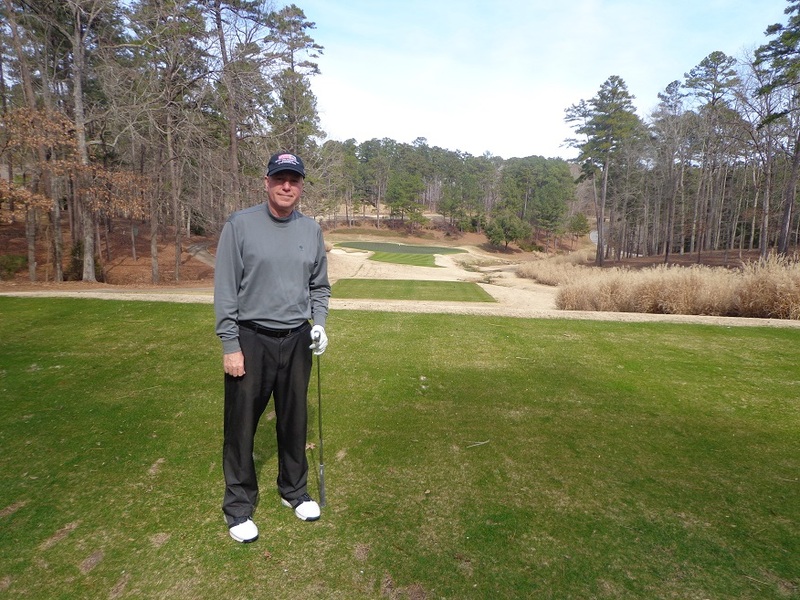 In Pinehurst my 31 score on the Par 3 Cradle Course was good for nine holes. Playing Pinehurst No.2 is always a treat, so is the new Pinehurst No.4. The Pinehurst Brewery is really good, the BBQ, Brews and brick oven pizza’s are all to die-for. Tobacco Road, that course I had heard for years, was a you love it or hate golf course. Well put me down in the “love it” category. If you like places like Sand Valley-Bandon Dunes or Streamsong, you will like Tobacco Road. 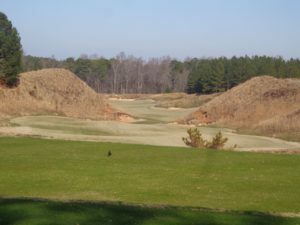 Course architect Mike Strantz (RIP) was ahead of his time building a course like Tobacco Road. THE PGA SHOW in Orlando was outstanding as always. If your not there you are behind your competition for that year. Taylor Made didn’t show at the show, so the Callaway’s, Titleist’s, Ping, Mizuno, Wilson and Tour Edge companies all raced past them for 2019. I don’t care who on tour plays their products, they lost ground to the industry. If i’m a TM staff professional, I don’t care about what they might do later this year. I’m concerned about what they are not doing, right now. Our local Chicago equipment companies Wilson and Tour Edge are on the move up, and they should be, they are both making good clubs and golfers like them. It was good to hear that Wilson’s first batch of Cortex drivers sold-out. Callaway has a winner with the new Epic Flash driver, and it’s new ERC Golf ball that flew good in the cold-weather I was golfing in. Both Wilson and Callaway have great new Irons too. I came away from the show ready to replace every club in my bag this year, and I might do just that. It was great to return to Myrtle Beach after three years away, and the thought of playing in the World Amateur there this August, is on my mind. Innisbrook’s South Course renovation and new room renovations are very good, and their onion rings that former Innisbrook Sales Director and KemperSports VP Doug Schmidt hooked me on, never get old. The final stop in Georgia at Reynolds at Lake Oconee was a great one. Former Medinah Director of Golf Mike Scully has found himself an incredible property to be in charge of. 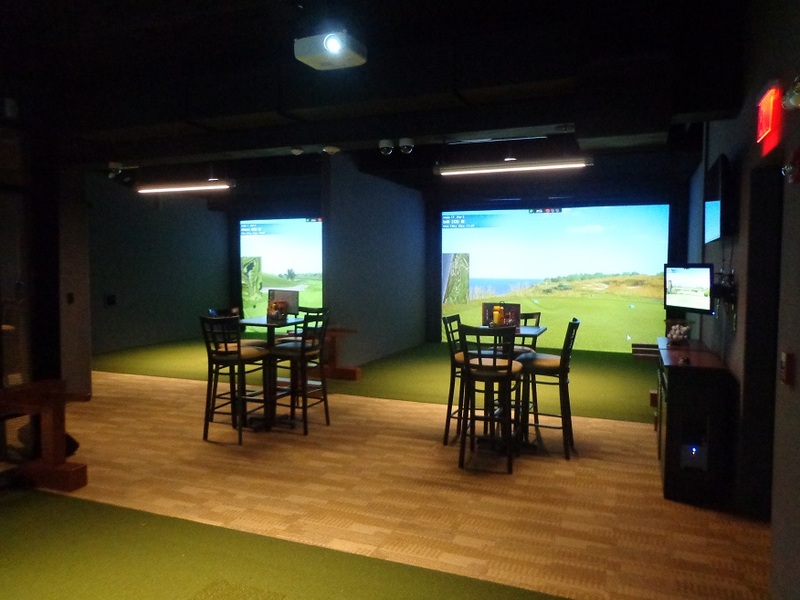 Six golf courses is just the tip of the iceberg at Reynolds. 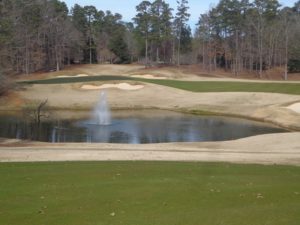 Georgia really does have a major golf destination property and Reynolds at Lake Oconee is it. They might not give away green jackets there in April, but it’s a wonderful time to visit. I can only believe things will get even better there, under Mike’s direction. 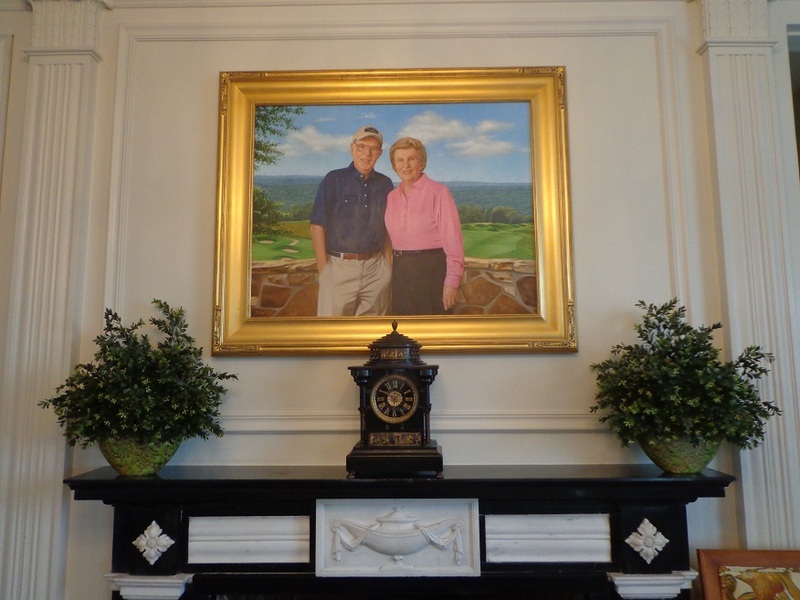 The portrait of Pete and Alice Dye that hangs in the mansion at the Pete Dye Course at the French Lick Resort. 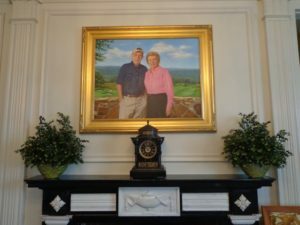 One sad note, the world of golf lost a great lady with the passing of Alice Dye, wife of HOF architect Pete Dye, who is poor health of his own. Alice Dye believed to be a winner of some 50 amateur championships was 91. In her own way, Alice contributed to many of Pete’s designs, including ones rated in the counties Top 100 golf courses. There is a great recap of Alice Dye and more in Jim Nugent’s Global Golf Post, that has added a subscription addition for a small amount of $. It’s well worth the read, see GGP+.